Throughout this study we have considered the contact of Paul’s apostolic ministry in the light of the two-step missionary pattern: “to the Jew first and also to the Greek” (Rom. 1:16; 2:10). His opening and closing address indicate that Paul must reach Rome to bring them within the two-step pattern God had appointed for the restoration of Israel and the salvation of the world, regardless of the fact that some gentiles in Rome had already believed in the good news before many of the Jews in Rome had even heard it (Rom. 1;5-17; 15:14-33; Acts 28:14-23, 24ff). They were struggling because their faith lacked a proper foundation (it was not “established”:Rom 1:11) — and they were ignorantly supposing that their new position in salvation history involved supplanting Israel (11:1, 11-32). As I write this, I’ve just finished reading this book, but before I move on, I want to offer my impressions and final summary of thoughts about what Nanos wrote. I realized that I’ve written a lot about this book so far, starting with Chapter One, the Nanos commentary on weak and strong, a presentation on the apostolic decree and how Paul applied it to the Gentile believers in Rome, as well as a comparison between Paul’s letter to Rome and his letter to the Galatians. There’s a lot going on in this book but it rests on a few assumptions. It assumes that the Gentile and Jewish believers in Rome were regularly meeting in synagogues also commonly used by non-believing Jews. It assumes that non-believing Jews, believing Jews, and believing Gentiles all interacted with each other in these synagogues. It assumes that the Gentile believers thought, or were approaching the thought, that because of the grace of Christ and their freedom from Torah obligation, that the Torah was on its way out, along with a formal Judaism, and that the Gentiles would be supplanting the Jews in this religious stream. Ironically, or should I say tragically, this last assumption has the ring of truth and indeed is exactly what has happened. It is also the prevailing thought in the Church today. We like to think a lot has changed in two-thousand years, but certain core ideas and prejudices haven’t gone away. Nanos notes in Appendix 2 (pp 372-387) that there are some problems with the reading of Romans due to the edict of Claudius which suggests that all or most of the Jews were expelled from Rome during the relevant time period and that the Gentile Christians were meeting in small home churches, not Jewish synagogues. If this is true, then Nanos’ book falls apart. However, Nanos believes that the edict expired allowing the Jewish population to return to Rome or that perhaps not all of them were expelled (he estimates that the Jewish population of Rome at that time was between 20,000 and 50,000, which is a lot of people to move out). I don’t have a historical background such that I can evaluate this issue, so I’m going to take it for granted (at this time) that Nanos is correct about his assumptions. I do however reserve the right to amend my opinion as more information comes my way. In Chapter 5, Nanos continues to build his message that Paul’s letter to the Romans was a strong reminder to the Gentile Christians that they were under the authority of the apostolic decree and expected to exercise “obedience of faith” which would include restraining themselves from any behavior that would put a stumbling block in the way of their unbelieving Jewish co-participants in Roman synagogue life, and help them come to faith in Messiah. The “two-step process” of Paul always first visiting the Jewish synagogue in any place he arrived at and then going to the Gentiles, was not just deference to the local Jewish population, but rather Paul’s and God’s plan of salvation. Jesus himself said “Salvation comes from the Jews” (John 4:22), and Paul believed that when he arrived in Rome, he could provoke Jewish “jealousy” of his mission to be a light to the nations (Isaiah 49:6), inspiring them to become part of Isaiah’s prophecy and God’s command. The Tanakh (Old Testament) is replete with prophesies of Gentile participation in the national restoration of Israel and the return of Jewish exiles in the diaspora to their Land, so this assumption on Nanos’ part is certainly reasonable. 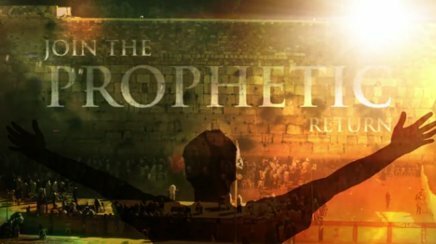 But the prophetic promise was in danger of not being fulfilled among the Jews in Rome because of the Gentiles assuming a position that elevated the nations and diminished Israel, the Jewish people, and particularly Jewish Torah observance, reversing what God has decreed. Paul, in the context of 11:1-29, 30ff., clarifies that while part of Israel may have “stumbled” it is not “so as to fall” but in order that they will be provoked to jealousy as the gospel brings salvation to the gentiles in fulfillment of prophecies. It is for this very reason that Paul magnifies “his ministry” as the “apostle of Gentiles” (v. 13). He hopes it will “move to jealousy my fellow countrymen and save some of them” (v. 14). Paul frames the purpose of his apostolic ministry with the vivid contrast between the present “riches” that have come to gentiles through the “stumbling” of some of his brothers and sisters (who have not believed in Christ or in the salvation of these gentiles) and the unfathomable success that will be realized by both the Christian gentiles and Israel when the apostolic ministry has at last fulfilled its destiny (see Rom. 11:12, 15). Paul’s two-step process placed Jews and believing Gentiles in complementary roles, whereby they needed each other to fulfill the prophetic promise that would be culminated upon Messiah’s return. David Rudolph and Joel Willitts commented on this complementary relationship in terms of modern Messianic Judaism more than once in their book Introduction to Messianic Judaism: It’s Ecclesial Context and Biblical Foundations, and I used their material to comment to this point as well on my blog. In Romans 11:18, Paul reminds the Christian Gentiles in Rome that the “root supports you” (Gentiles), not the other way around, thus, according to Nanos, Gentile salvation flows from Israel. Rather than arrogantly assuming they have replaced fallen Israel, the gentiles are to recognize they must be servants of Israel’s salvation even as Paul is, for it is Israel’s success and not her failure that will bring the “revealing of the sons of God” for which the “creation” is anxiously longing (8:19). Continuing to comment on Romans 11, Nanos says that the “mystery” is not if but how “all Israel will be saved” when it is stumbling. I found Nanos less than completely revealing about who or what he thought “all Israel” was, whether a believing remnant of the Jewish people or miraculously, through the two-step process and the jealousy he provoked with his mission, literally all Israel would rise to become a light to the nations, as Paul had, and be the catalyst for a multi-national revival that would herald the return of Messiah. Many of my reviews of the First Fruits of Zion (FFOZ) television series The Promise of What is to Come, including Exile and Redemption and Ingathering of Israel address the process of the people of the nations taking hold of the Jewish people in order to join with them in learning of the God of Jacob, and praying in the Temple of Israel, so again, this idea of mutual dependence and participation in Israel’s national redemption and the restoration of the world is not without support. According to Nanos, Jewish “hardness” (Romans 11:7) will end when the Gentiles enter in their fullness (Romans 15:29). The usual Christian interpretation of these verses is as Paul’s general injunction for believers to be subject to governmental authorities as well as employers and the like. However Nanos notes that it is an odd contextual diversion from the themes before and after, and he suggests that Paul is actually talking about the local synagogue authorities, advising the Gentile believers who are in the synagogue as to their proper response to the synagogue leadership (and the taxes being mentioned would be the Temple taxes, collected in diaspora synagogues and sent to Jerusalem). This brings up the interesting question about whether or not believing Gentiles should respond to non-believing Jewish leadership in a Jewish synagogue setting while believers and non-believers are worshiping God in a common Jewish context. Citing verse 1 in Romans 13, Nanos quotes Paul saying that the “governing authorities” derive their authority from God. Again, the Church interprets this as saying any authority on earth in any capacity was given that authority by God, but in this context, Paul is saying that synagogue authority is from God and should be responded to as such by the Gentile believers present. This is going to make many Christian readers bristle, but it at least implies that God was not done with even the non-believing Jews and indeed still recognized them as Israel, as His chosen and called out people, perhaps (my interpretation) due to the Mosaic covenant. That would mean the Mosaic covenant was still in force and that the beginnings of the New Covenant which, linked with certain conditions of the Abrahamic covenant, allowed Gentile entry into Jewish religious space without the requirement of conversion, was all additive rather than the later covenant replacing the earlier one (see Galatians 3:18). Christian gentiles worshiping the One God in the midst of the congregation of Israel — my point exactly! Paul is urging the Gentile believers to take note of their position, their role, and their halachic status as “resident aliens” within the midst of corporate Israel, which here is the synagogue context in Rome. Citing Romans 13:3-4, Nanos says that Paul did not believe the synagogue leaders were always right in their rulings (something of an understatement considering how many different leaders in many different synagogues in the diaspora had Paul thrown out, driven out, arrested, beaten, ridiculed, pursued, and so forth), but that they did have a right to administer their own religious and community space. Therefore whoever resists authority resists what God has appointed, and those who resist will incur judgment. I was somewhat reminded of a paper written by Noel S. Rabbinowitz called Matthew 23:2-4: Does Jesus Recognize the Authority of the Pharisees and Does He Endorse Their Halakhah (PDF). I invite you to read the paper yourself, but in short, Rabbinowitz concludes that while Jesus disagreed with the Pharisees (or some of them) on a number of issues, he did recognize that they did have the legal authority to establish binding rulings upon those who operated within the Pharisaic realm. The implication is that the synagogue leaders of Rome also had the same God-assigned authority even if they didn’t always use it wisely (this also speaks to later Rabbinic Judaism and the authority of the sages in making halachah). Looking back on the book as a whole, does Nanos make his point? I think so for the most part. 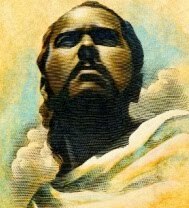 As a non-scholar in New Testament studies, I’m obviously operating with certain weaknesses, but the benefit I see from Nanos’ research is that he shows us a Paul that acts like a sane human being; one who is consistent with his message across time (as measured by what we see of him in Luke’s Acts and Paul’s various letters). This is a serious refactoring of our typical understanding of Romans, so it deserves careful consideration, however, Church tradition about this letter, having been established many centuries ago, has not been given a serious “shake up” until now. I’m sure it’s time. Just because the Church has had a tradition that typically interprets Romans in a certain way doesn’t make that tradition correct, especially as it was formed out of a long history in Christianity desiring to disconnect Judaism in all its forms from the Church and to establish the ascendency of the Church over the Jewish people and Judaism. This “new perspective on Paul” has merit and seems to fit a perspective where God does not break, fold, spindle, or mutilate any of his former promises to Israel for the sake of Gentile admission. Rather, the first advent of Messiah and the beginning inclusion of Gentiles as co-participants in salvation and the restoration of Israel creates a seamless continuation “between the two testaments” rather than a jarring “jumping tracks” from the “Old” to the “New.” This is what you’d expect of a creative, all-powerful, always truthful, and organized God. “Let every person be subject to the governing authorities…” – Nanos’ point about this being a reference to synagogue rather than the government shocked me. However, his explanation makes perfect sense. Paul is writing to people living in Rome, the center of power of the brutal, tyrannical Romans. It would make no sense to have to remind these people to be subject to Roman rule. I love Nanos’ perspective and consider this a must read for serious students of the text. This issue raises additional questions about God’s relationship with the unbelieving Jewish people going forward. I stands to reason that God would maintain His relationship with Jews and Gentiles who have come to faith in Messiah, but perhaps we can also believe that God did not abandon those “struggling” Jewish people who have nevertheless continued to worship, pray, and perform the mitzvoth, all for the honor and glory of Hashem. Does God’s authority also rest with the Rabbis as we believe it does with the leaders of the Church? If the Jews WERE expelled from Rome sometime prior to the writing of Romans, wouldn’t that have included Jewish believers as well? Do you think Roman authorities would have made a distinction? Then, what happened to their synagogues? Taken over by God-fearers? Also, did the Jews just abandon their Torah scrolls? I doubt it. What scriptures would their be to read after they had been expelled? Where would the God-fearers have procured one once the Jews were gone? ‘there’ rather than ‘their’ in line seven above. Yes, if the Jews were expelled from Rome, the Romans wouldn’t have distinguished between Jewish believers and non-believers since all they really represented was different religious branches of Judaism. That would have left the Gentile Yeshua believers worshiping in small “home churches,” and that being the case, Nanos’ interpretation of Paul’s letter would make no sense. It only makes sense in the context of Jews (believing and non-believing) and believing Gentiles (as well as Gentile God-fearers) worshiping in the same synagogue environment. Not sure about the scriptures the Gentiles would have had access to. It’s possible they could have acquired them on their own through some sort of purchase, but I don’t know how that would work. @James — I lack the resources to investigate the relative timing of Rav Shaul’s letter and the Jewish expulsion from Rome for a duration of several years, after which they returned. But the Roman authorities would not necessarily have “padlocked” the synagogues or taken them over in order to use them for some other purpose, so I suspect that non-Jewish believers who had previously frequented these venues could still have done so. They would thus have been even more tempted to consider themselves “inheritors” of these deserted properties. If there had previously been good relations with the non-Jews who had regularly attended a given synagogue, the fleeing Jews might even have entrusted them with a scroll or two to safeguard. It was only a bit later during the Domitian persecutions that property was seized by the Empire, rather than being left vacant, ostensibly for failure to pay outstanding tax obligations. Jews were back in Rome by this later time. Perhaps Rav Shaul wrote during the period of the expulsion or just as Jews were beginning to return and reclaim their forcibly-abandoned properties. At such a time, his emphasis on respecting irrevocable Jewish calling and rights would make a great deal of sense. There is no reason to assume a complete break that would replace the non-Jews’ former synagogue fellowship with separate home fellowship. The home fellowship model was itself based on Jewish community practice wherein homes and synagogue were both part of the extended community interaction. So Nanos’ interpretation does make sense. If the Gentile believers met when the Jewish people were evicted from Rome, they may not have wanted to attract attention to themselves by meeting in the synagogues, and may have felt safer meeting in each other’s homes. I can’t see a Gentile-only group taking over a Jewish synagogue in Rome, especially if the “heat was on,” so to speak. @James — Funny you should mention skepticism about non-Jews taking over synagogues … Where I lived, when I lived in the States, it was not at all uncommon to find that an old synagogue in an urban area had been taken over by some inner-city Christian church after the Jewish community had moved outward to somewhere in the suburbs where they built newer and bigger synagogues (though of course the properties were sold and bought normally and not under duress). From what I can gather about the expulsion by Claudius, mentioned in Acts 18:2, it was not a general anti-Jewish policy but rather it was in response to riots in the Jewish community over someone named “Chrestus” (guess who?!) [refs: Suetonius in “Divas Claudius” 25:4]. Also worthy of note is that synagogues of that era were not quite the center of the Jewish community that they became after the Hurban and particularly after the Bar-Kochba failure. Hence there would not likely be any significant “heat” associated with from peaceful non-Jewish public gatherings in synagogues, which were primarily study halls in that era. The Claudius expulsion apparently occurred possibly as early as 49CE, though it seems more likely within 2 years after that. If so, Jews would have begun to return by the mid-50s. Note that the Acts 15 declaration was issued around 61CE, and the comment in Acts 18:2 would be retrospective of what had happened in the early 50s to send Aquila and Priscilla out of Italy, after which they met up with Rav Shaul. Their story of the community in Rome might perhaps have triggered Rav Shaul’s determination to write his letter to a community of Rav Yeshua followers he had not yet met, particularly the non-Jewish ones who represented his mandate as an apostle. Now, I haven’t yet read Nanos’ books on the Romans letter, but I can imagine the community dynamics in Rome between non-messianic Jews, Jewish Rav-Yeshua messianists, and G-d-fearing non-Jewish followers who affiliated with the Jewish community. In such a mileu, particularly as the Jewish community was re-establishing itself after the return from Claudius’ expulsion, Rav Shaul’s comments make perfect sense to me. PS for chayah — the “fullness” referred to in Rom.11:25 is the Greek word “pleroma” (πλήρωμα) is a reference to plurality or majority; and it does not refer to wrath upon them but rather that they should “eiselthe” (εἰσέλθῃ) enter into partaking (of the blessings of HaShem) in the pattern envisioned in the immediately preceding verses about being grafted into the domesticated olive tree. There is so much disagreement about what, “fullness of the gentiles,” means, and it is interesting that this is another viewpoint. I don’t see in reality that gentiles understanding or practicing Hebrew Roots or torah has led to Jewish people coming to faith. Many Jews became believers about the time I did; 1970’s-1980’s. We don’t hear much about this happening now. I tend to think that this fullness refers to the idea that the gentiles have been given everything they are going to be given for 2,000 years. Maybe a Greek scholar could tell me if it could also refer to the fullness of wrath upon the gentiles for their treatment of Israel? The phrase ‘fulness of the gentiles’ is used by Jacob when he blesses Ephraim. @Steve Petersen — The phrase you’re citing in Gen.48:19 as “fullness of the gentiles” is “מְלֹא-הַגּוֹיִם”; and in context it really means that Ephraim’s seed will fill the nations, though JPS translated it as becoming a “multitude of nations”. Considering the curses that the tribe of Ephraim brought upon itself by idolatry in the breakaway northern kingdom of Israel a thousand years later, resulting in massive decimation and dispersion into many nations, this was fulfilled in rather a negative manner. The phrase may appear similar to the one used by Rav Shaul in the Romans letter, but it is actually something altogether different. PL, it seems even though you haven’t read the Nanos “Romans” book, your understanding of the history of the time when Paul wrote the letter fits pretty well with Nanos’ opinions. Well, regarding Romans 13, I’m not quite convinced that Paul is *only* speaking of governing authorities within the context of the synagogue. First of all, I think the text of Romans 13, referring broadly to “all authorities that exist” is much broader than one would expect if Paul had only the synagogue authorities in view. With the tensions between the Roman government and the Jewish and Gentile believers, there was a need for instruction on how to deal with the governmental authorities. I think Paul is providing that in Romans 13, and his instruction agrees with Paul’s conduct in his own dealings with governmental authorities. Note that chapter 13 continues from the end of chapter 12, where Paul gave instruction regarding the character of God’s servants on earth, especially in the matter of dealing with those who *outside* the authority of the church who are (potentially) hostile to the believers. Thus the context leading into chapter 13 strikes me as better suited to dealing with external authorities, not just synagogue authorities. The references to “rulers bearing the sword to bring punishment on wrongdoers” in verse 4, and the payment of taxes and revenues in verses 6-7 also suggest government authorities. In this case, the instruction is clearly referring to governmental authorities beyond the church (or synagogue) authority. I think Peter and Paul (in Romans 12-13) are basically saying the same things. Nanos’ explanation about the use of the word “sword” was that Paul was being metaphorical relative to consequences for disobedience, and as I mention above, the reference to “taxes” had to do with the collection for Temple taxes which were then sent to Jerusalem, Jerry. 1 Pet. 2 could be addressing authority in an unrelated context, so doesn’t have to apply to Rom. 13. Even if you are correct that Paul was addressing the wider world of Roman authority, his statements should still apply to the authority of the synagogue leaders as well and relative to the overall context of his letter, it would seem like that would be his primary point, even if he were also making a secondary point regarding Roman authority. We have a tendency to read the epistles as if they were a general list of theological points that don’t have a contextual meaning and that can be applied in a very wide scope, but whenever you or I write an email, for example, even on a religious topic, we tend to be focused on sending a specific message. I don’t know if Paul prophetically knew that his letters would one day enter the Biblical canon, but at the time he was writing them, he probably had a focused set of points to make to a specific audience. He likely didn’t realize we’d try to apply his words to a much wider framework hundred and even thousands of years later. Thank you Jerry for that reference, which is Gen. 48:19. Wow, the Hebrew really provides insight you don’t see in the translation. Melo hagoyim does not mean, “multitudes,” but rather, “all it contains,” or, “that which fills.” I read that the Greek word is a rare, passive verb that speaks of a ship being filled with men or cargo. So, Ephraim will become that which fills the nations. Would anyone like to comment further on the meaning of this? Another way to look at it is that for Paul to remind the believers in Rome to be subject to Roman rule would have been superfluous. 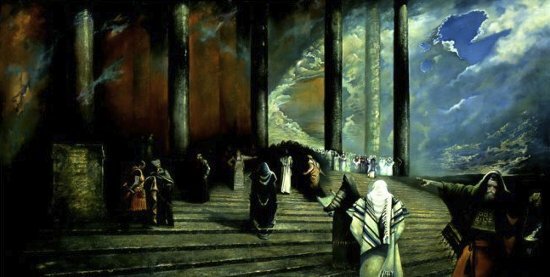 However, due to tensions between the believers in Yeshua as messiah and those that did not believe, the instruction to be obedient to the synagogue rulers would have been necessary. This is not to say that believers are not responsible to be subject to governmental authority. Yeshua’s comment about rendering to Caesar is a case in point. Yes, I do think that happens sometimes, but I believe that I was taking the contextual meaning into account by seeing how Paul’s comments in Romans 13 logically follow those in Romans 12. That’s why when Paul spoke about “authorities that exist”, I’m not seeing a good reason to limit this to authorities in the synagogue. Now, I agree that Paul’s letters were written to address specific issues that arose there in the first century, and having this historical/cultural context illuminates many things. And yet, Paul often supports his instructions by providing broader truths which are true beyond the immediate context of events at that place and time. Paul is teaching. Is he just resolving a matter specific to the first century Jews and Gentiles, or his this a broader teaching that is just as true today? I gather that you may lean toward the former, but I prefer the latter. That is, I think that this is a general truth that he is using to support his response to the first century situation. Anyway, aside from this sort of “difference in scope”, I think we generally agree on things. Hi Jim. I’m not seeing why it makes no sense. If the Romans are brutal, then they can be brutal to believers (and Paul himself is an example). Might not these believers create some upheaval with their teachings about how the Son of God was crucified by the Romans? I should think that the believers in Rome were more likely than most to be brought before potentially hostile Roman authorities. How are the believers to respond in such situations? They had best be prepared to speak truthfully and faithfully, while remaining respectful of the governing authorities. Paul’s letter to Rome, and especially chapter 12 and 13 should help them understand that. As far as the verse from Galatians, and the letter as a whole, I think we can say that Paul’s point about being justified only by faith and not having to be born Jewish or convert to Judaism is still as valid today as it was when he was addressing the problem. As far as our discussion about Romans, I still think he was primarily addressing a problem with Gentile believers not respecting synagogue authority, but I agree that this could have broader implications. The Bible frequently can be applied to both its immediate context and to a wider scope. Matthew 2:15 quotes Hosea 11:1 when the gospel writer says “I called my son out of Egypt,” meaning in the immediate sense that Joseph and Miriam were allowed to bring Jesus back to Israel from Egypt because the danger to his life was over. And yet, Hosea was talking about the Israelites coming out of Egypt. Matthew, Divinely inspired, was able to take the original meaning of Hosea and recontextualize it. Makes reading the Bible complicated sometimes. I would really like to hear more about how people view the, “melo hagoyim.” PL, I would like to know more about what you see as the difference between this and the Greek phrase Paul employed. Are times of the gentiles and fullness of the gentiles related? If Gen. 48:19 has a different meaning, is it looking forward to a time when the dispersal of the seed of the rebellious, idolatrous Ephraim has filled up the measure of judgement, and there is a time of recognition and returning? Regarding response to authorities, some of you may be aware that there are those who claim that the bible supports not paying taxes, not getting conditional use permits, not having to live by the rules that everyone else does. Shalom, chaya – In my previous posts I presented the translations of the relevant Greek and Hebrew phrases. The Greek phrase in Romans and its context referred to a (latter days?) time marker, whereby a change for the better in the Jewish situation would occur after some large number of non-Jewish individuals (or entire people-groups) had been given the opportunity to obtain the benefits of grafting into the Jewish olive tree. The Hebrew phrase in Genesis referred to a specifically Jewish tribe that would interact with many nations. The tribe of Ephraim almost ceased to exist, except for a small remnant of refugees, some 2500 years ago. Now, it would be possible to interpret the phrase to infer that the territory of Ephraim would become filled with non-Jews at some point (also not generally a pretty picture from a biblical viewpoint), rather than that Jews from Ephraim would “fill” many other nations, nor would they become so numerous as to form their own multitude of Jewish nations, nor would they cease to be Jews and become assimilated into all sorts of other nations (in which case they would also no longer be recognizable as Ephraim filling up anything). So the two phrases are each referring to different peoples and to different circumstances and different results. Aside from the “two-house” viewpoint folks, no one would expect Jacob’s blessing to Ephraim to predict hordes of non-Jews squatting on Israeli territory that was at one time allotted to the tribe of Ephraim. Certainly that was not the concept in view when Rav Shaul presented his olive tree analogy. That having been said, a familiar widely-used modern Hebrew translation of Rom.11:25 does, in fact, use the phrase “melo hagoyim” to render the Greek phrase “pleroma ton ethnon”. I should mention a subtle difference between the ancient biblical phrase that is hyphenated (“melo-hagoyim) and the modern phrase which consists of two separate words. This is a case where an ancient use of a hyphen can make a significant difference in meaning because it renders the term as a single characteristic adjective in Genesis (nation-fillers?) rather than as the object of a verb in Romans (a multitude that has come in). Now you ask a really good question about another time marker, which is the phrase in Luke 21:24 about the “times of the gentiles” being fulfilled. One may well wonder if there could be any causal connection between the ending of a period in which Jerusalem is trampled by non-Jewish forces, the ending of a period of partial hardening in Jewish perceptions of Rav Yeshua, and the completion of a successful grafting-in process for a multitude of non-Jews into a Jewish olive tree. Thank you, that was helpful. I looked at a map, and it seems Ephraim’s territory is located within Israel, for the most part? I would need to see the two superimposed. Perhaps we can look to the story of Yosef, and see how his brothers obviously knew who he was and that he was their brother, but they were jealous and hated him, and really didn’t like is dreams. So with Yeshua’s first coming, he said that they missed their visitation, I would assume as most were so focused on their hatred of the Roman oppressors that they were looking for a military conqueror, and were not looking at their spiritual need. But currently, the hardness is a response to historic Christian antisemitism. You don’t see the same attitude among Jews toward Buddhism or Hinduism. Thanks for the clarification, PL.